The current market for wearables is all focused on the wrist. Fitbit has the most sales in the wearable industry with its slew of fitness trackers, and the Apple Watch is surging up the sales leaderboards. But is this the future of the wearable industry? A lot of pundits and startups don’t think so, many believe the wearable industry will connect everywhere from your head to your toes, using smart clothing. Smart clothing is in a similar spot to the Internet of Things (IoT) at the moment, it’s a catch-all term that sounds jazzy, there aren’t many mainstream products, and a lot of people don’t know what it means. Thankfully, it’s easier to unpack than IoT. Clothes can now be embedded with sensors, connected to smartphones, and relay all types of information to the user about their fitness and health. Sensoria launched running socks that can track your runs better than a fitness tracker on the wrist. It has three pressure sensors embedded into the socks to track pace, distance, and time. Sensoria is able to analyse the data and give you tips on how to improve your runs and avoid injury. Athos goes a step further with full body smart clothes that can track what muscles are being worked the hardest in your workouts. This could be useful for people that want to work on a certain part of the body. Smart clothing can also offer payment functionality, Scottish knitwear brand Lyle & Scott announced an NFC jacket last year that lets wearers pay for things. 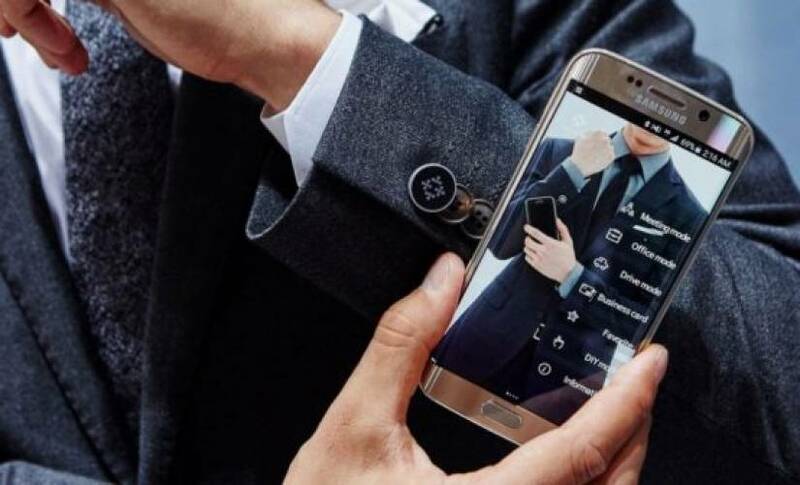 Samsung launched a suit that has NFC functionality, but that only lets wearers unlock their Galaxy smartphone. Most of the time, smart clothing looks and feels similar to normal clothing. Sensors are embedded into the fabric, which means you won’t have to hide your technology in public like a lot of people did with Google Glass. “I like to say wearables are no longer just smart, but they’re truly intelligent. Not too long ago, we simply wore devices on our wrists that just told us how many steps we took or how many calories we burned,” says Florian Miguet, CEO and founder of Clim8, an intelligent thermal clothing solutions company. “But it was up to us to decipher how best to interpret and respond to that data. It was a one-way conversation. That said, devices that are visibly different from normal clothes may be more acceptable in the near future. Google’s Project Aura division, previously Google Glass, is apparently working on a second version of Glass. APX Labs, an enterprise wearable firm, has seen tremendous adoption of smart glasses in the workplace, previewing another potential smart clothing market. Wrist based wearables will likely remain the dominant wearable for a few years, but as we move to a more connected future, functionality should be condensed on the wrist and moved to other parts of the body.